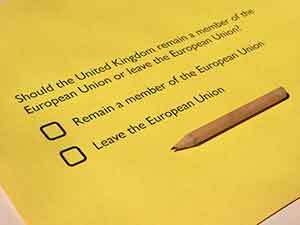 The vote for the European Union (EU) referendum is taking place today (Thursday) between 7 a.m. and 10 p.m. (Greenwich Mean Time). But we won't know the official Brexit results until June 24 around 2 a.m. EDT. 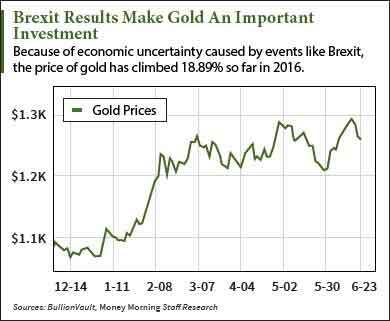 If Britain votes to remain in the EU, investors will be happy with the stability in the short term. The Dow Jones Industrial Average has climbed roughly 200 points in the last five days as Brexit polls suggest UK citizens are in favor of staying. If Britain votes to leave the EU, some investors like George Soros predict the pound (Britain's national currency) could collapse as much as 20%. Soros is known for betting against the Bank of England and making $1.5 billion in 1992 by shorting the pound. Each decision will have short-term and long-term consequences. But no matter what the official Brexit results reveal, the health of the global economy is still in danger. Volatile oil prices, currency devaluation in Japan (the world's third-largest economy), poor job growth in the United States, and the slowing of the Chinese economy (the world's second-largest economy) are all reasons why we could see a 2016 stock market crash or correction. That's why today, Money Morning is going to share three portfolio protectors in the event of a stock market crash or correction in 2016. These protectors will help offset any losses from a global sell-off in stocks. Avoid being reactive. Don't make a decision based on fear. Review your portfolio. If you haven't already, see how diversified your portfolio is and how well it's built to withstand pullbacks in the market. Keep calm and understand that being prepared is your best form of protection. Money Morning Global Credit Strategist Michael Lewitt recommends a safe haven for investors during times of uncertainty: gold. If stocks plummet or paper money loses its value, gold will help insulate your portfolio from losses. Investors have been flocking to the precious metal since the beginning of 2016. Gold traded at $1,063.22 per ounce on Jan. 1 and is trading now for $1,264.13 per ounce. That's an increase of 18.89% in under six months. According to the World Gold Council, the demand for gold had increased by 21% in Q1 2016, year over year. Investors also poured $7.6 million into the exchange-traded fund SPDR Gold Trust ETF (NYSE Arca: GLD) in Q1. GLD is up 18.86% so far in 2016. If you believe the market is headed lower, this is a way to still potentially profit or hedge losses from your stock holdings. By betting against the S&P 500, you will make money every time it goes down. ProShares Short S&P 500 (NYSE Arca: SH) opened this morning at $19.84 per share. But during the financial crisis of 2008-2009, it traded for as high as $97.08 per share. If we experienced a stock market crash in 2016 and SH climbed back to those levels from 2008-2009, investors would profit 389% from today's opening price. Finally, Lewitt recommends an asset that is generally overlooked before an economic collapse: the U.S. dollar. If paper money were to lose all of its power through a stock market crash, the U.S. dollar is still the "best of a bad bunch," according to Lewitt. He believes that currency devaluation and the incompetence of central bankers will lead to the destruction of certain currencies like the yen and euro, making the U.S. dollar more powerful. Holding cash also gives you an advantage: You will have the spending power to buy beaten-down stocks cheaply. The Bottom Line: No matter the outcome of the Brexit results, there are still major concerns in the global economy. But investors can protect themselves by buying gold, betting against the S&P 500, and keeping cash at hand. Avoid Investing in This Industry at All Costs: Mall culture is dying, and there are so many former retail giants filing for Chapter 11 that it's hard to keep track of them. And Michael Lewitt believes these six retailers will be the next to go bankrupt. Click here to see his urgent warning.